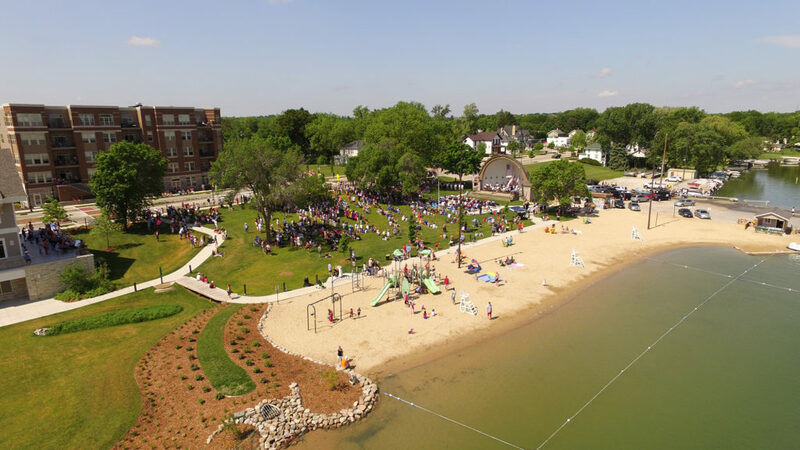 Relax at City Beach Park in downtown Oconomowoc. Sunbathe, swim or rent a watercraft to head out on Lac La Belle. City Beach does require beach bands to swim, but not to use the park. Live music at the bandshell Wednesday and Friday nights during the summer.